On this episode of DTB’s “First Concert Ever”, the death metal band, Allegaeon, chats about the first concerts they ever went to, while on tour with Rings of Saturn, Nekrogoblikon, Lorna Shore, Entheos, and Gloom. On this episode of DTB’s “Tour Tips (Top 5)”, the death metal band, Allegaeon, recommends their tips for being on tour, while on tour with Rings of Saturn, Nekrogoblikon, Lorna Shore, Entheos, and Gloom. Allegaeon is currently supporting their 2016 album, Proponent for Sentience. On this episode of DTB’s “Tour Pranks”, the death metal band, Allegaeon, reveals the pranks they’ve pulled on tour, while on tour with Rings of Saturn, Nekrogoblikon, Lorna Shore, Entheos, and Gloom. 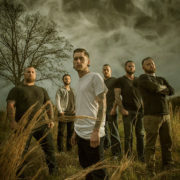 Allegaeon is currently supporting their 2016 album, Proponent for Sentience. On this episode of DTB’s “Bus Invaders”, we take you inside the touring vehicle of the death metal band, Allegaeon, while on tour with Rings of Saturn, Nekrogoblikon, Lorna Shore, Entheos, and Gloom. Allegaeon is currently supporting their 2016 album, Proponent for Sentience. On this episode of DTB’s “Dream Tour”, the death metal band, Allegaeon, discusses their ultimate tour lineup, while on tour with Rings of Saturn, Nekrogoblikon, Lorna Shore, Entheos, and Gloom. Allegaeon is currently supporting their 2016 album, Proponent for Sentience. The deathcore band, Rings of Saturn, has announced a U.S tour, called “The Dank Meme Tour”, for March. The band is touring in support of their latest album, Ultu Ulla. Nekrogoblikon, Allegaeon, and Entheos will join the tour, as support. 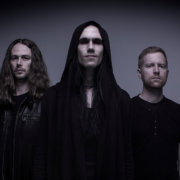 The metal band, Ne Obliviscaris, has announced a North American tour, for November and December. The tour is in support of the band’s newest album, Urn. 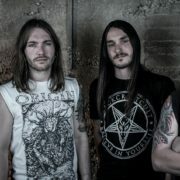 Allegaeon will be joining the tour, as support.